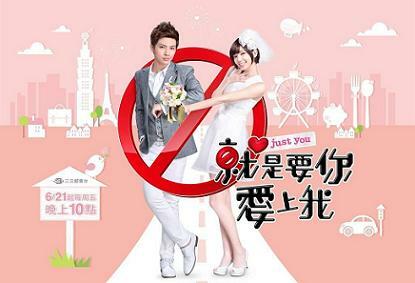 Cast: Aaron Yan, Guo Xue Fu, Katherine Wang, Tang Zhen Gang and Dean Fujioka. Cheng Liang Liang (Guo Xue Fu) is a happy girl with a good job and a nice house. Her being independent made her strong willed and honest, as well as having a thirst for justice. One day though, Qi Yi (Aaron Yan) shows up in her house asking her to leave it, since he had bought it. At first she just blows him off, but when he arrives at her company, telling everyone he is the new CEO and bans all office romance - leading Liang Liangs best friend to be dumped - Liang Liang becomes infuriated. Qi Yi a neat freak by nature buys Liang Liangs house because of his past and the house used to be his. Realizing that he can’t get Liang Liang to move, he makes the rules clear to her, and lets her stay for the remaining three months she had paid for. Still upset with him though, and angry for having her best friend fired, Liang Liang and her neighbor decide on a plan of revenge: to make Qi Yi feel his own medicine, by making him fall for Liang Liang. I tried making it sound good, but it somehow went wrong along the way. But I think you get part of the point. The reason I watched this was because of Aaron Yan, the only male C-Idol I like, and I probably always will. I didn’t really know what to think of him being the ‘mean’/’cold’ boss and all especially since he has such a baby face, but besides the first few episodes, he pulls it of pretty well, and manages to give me a good laugh. The storyline was quite good and entertaining, but it just gets ongoing for quite some time, which some people like due to the entire make-out sessions and the cuteness, but I wasn’t really sure what to make of it. The rest of the cast were good, some should get better acting training, but else pretty good.